To be asked to take on the role of Provincial Grand Charity Steward is an honour and a privilege, and a further step on the ladder to Masonic achievement, of being able to help those less fortunate than ourselves. I was appointed Provincial Grand Charity Steward in the Craft on the 13th May 2014 at the Provincial AGM. Going back in history, I was Initiated into Citadel Lodge, No. 1897 on the 24th January 1994. I am a Member of 6 Craft Lodges (2 Middlesex Masters) and 3 Royal Arch Chapters. I have been involved in charity matters for over 18 years, from when I first joined the Harrow section of the Charity Forum. I am now 60 years young and have been married to Lesley for over 37 years, with 2 sons and three grandchildren. My hobbies are football, golf, going along to RMTGB and the fine arts. 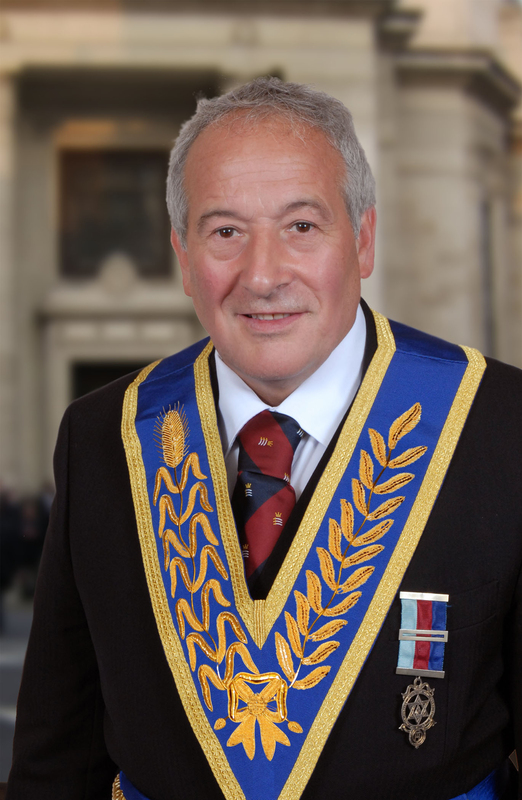 My position as Provincial Grand Charity Steward is to communicate effectively the desire of the Rulers of the Province, with respect to charity and to forward their message through the channels of Charity Stewards, and Festival Stewards (when in festival mode), throughout all the Lodges of the Province. Too often we call upon a Freemason to give "freely" in the name of “Charity”, without ensuring that the individual understands the relevance of charity in the context of Freemasonry. Charity, whether it be in the provision of financial assistance to our beneficiaries, or to local non-Masonic Charities and "good causes", it is one of the fundamental principles of Freemasonry, putting into practice, that which we have been taught. The RMTGB Festival 2020 is the major Masonic Charity to which the Province is supporting and which started in March 2015 and ends on 22nd January 2020. The Pro Provincial Grand Master has asked each Brother to give "priority" to supporting this Masonic Charity, whilst giving secondary support to other deserving charities. The Province being in Festival mode, it is my duty, being part of the Festival Appeal Committee, to co-ordinate the Charity Stewards and Festival Stewards to communicate effectively throughout the Festival period. Support for those less fortunate than ourselves has been a feature of our Masonic activity throughout the history of this Province. Charity, since its earliest days, has been the essence of Freemasonry but, unlike other fund raising organisations, most of the money raised comes from the Members own pockets. It is, however, entirely up to the individual Member what he gives to charity, but it should always be without detriment to himself, or his connections. The three Great Principles by which we stand are Brotherly Love, Relief and Truth. Freemasons are taught to practise charity and to care, not only for their own, but also for the community as a whole, both by charitable giving and by voluntary efforts and work as individuals.